You’ll remember SOPA, or the “Stop Online Piracy Act” was a piece of legislation introduced in 2011. Backed by major entertainment concerns, the bill initially found favor among many in Congress, but after widespread outcry from many corners of the internet, including musicians, the bill died in early 2012. We were among the many groups that opposed SOPA on the grounds that it was a badly drafted, overreaching and clumsy attempt at dealing with a complicated set of issues that could have had serious unintended side effects for free expression and security online; we were pleased to see it go down. But since SOPA and the companion bill PIPA died, there have been no attempts to reintroduce similar legislation. None. Zero. Zilch. So what’s with the perennial “return of SOPA” chatter? In 2012[sic] the Online Privacy Act[sic] was brought fourth[sic] to congress to be passed which would have negatively affected everyone on the internet as a whole. The people fought back and it never happened. Several times now since then it was revised under a different title with changes and tweaks to the wording to again try to get it to pass without the general public knowing about it. Each time it was found out, and then repealed. Here we are in 2013 and again dealing with a portion of SOPA, this time the streaming of copywritten[sic] works is at the forefront of this particular law to be. If a particular stream contains any copywritten[sic] material of any sort the uploader and creator of said content can be found guilty and automatically placed in prison for years on felony charges. This petition’s author is obviously confused about a number of things, from the basic mechanics of our legislative and judicial systems (e.g. you can’t repeal a bill that hasn’t been passed; SOPA never even got as far as a floor vote) to the mechanics of copyright (under US law, nearly every original creative work make is copyrighted automatically, so most anything that can be streamed is someone’s copyrighted work.) Beyond that, it appears that they’ve fallen for a wildly inaccurate meme that was spread around last year in response to a USPTO Green paper’s suggestion that the law could treat infringing streaming the same as a download. We debunked this last year: there’s no reason to believe that harmonization of streaming and download infringement penalties would make felons out of YouTube uploaders. In any case, there isn’t actually any bill under consideration, and there hasn’t been since 2011. Yeesh. While it’s good to be vigilant about freedom of expression and fair use, it’s also important to be accurate. A climate of misinformation and cynicism makes it harder for policymakers to make actually helpful reforms that help creators while protecting free speech and creative expression. Even worse, the constant ringing of false alarms might eventually make it harder to stop any future actually existing problematic legislation, because after awhile, the story becomes “The Boy who cried SOPA.” In the long run, that could seriously threaten internet activists’ ability to be taken seriously. In the coming days, we’ll be launching a legislative tracker page on our site, so you can keep tabs on any and all current music-related legislation in one place, and understand what each bill does and does not do. For now, when you see online chatter about the “Return of SOPA” online that doesn’t actually refer to any concrete legislation, you might do well to consider it a red flag that your source may not have really done their research, or may not be telling you the full story. And next year, when you see someone sharing a “Stop SOPA 2015” petition on Facebook claiming that the government wants to delete all the curse words from your MP3s, send you to prison for singing “Happy Birthday” to your grandma over Skype, and give the MPAA control of your Instagram account, well…maybe check with us before signing it. 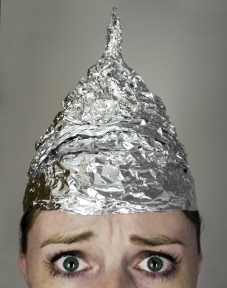 Foil hat image via Shutterstock. Submitted by Anonymous (not verified) on November 16, 2014 - 11:02pm. Thanks so much! I saw this all over the interblag and I had a hard time believing it. Submitted by Anonymous (not verified) on December 8, 2014 - 2:35pm. The guy who wrote this clearly has no idea what he is doing, and hasn't looked into the topic at all. Submitted by kevin on December 14, 2014 - 10:47pm.